This concise and informative guide looks back at the customs and traditions of a predominantly rural Wales during the nineteenth century. Each chapter is complemented by several eye-witness accounts that create vivid descriptions of a forgotten way of life, such as the revelries of the corn harvest, winter nights by the fireside, and the traditional “cwrw bach” or fundraiser. Customs are arranged into four main groups: those centred on the hearth and home, agriculture, community life, and the parish church. The Customs and Traditions of Wales explores each custom’s origins and examines the transformation of Welsh traditions during the nineteenth and early twentieth centuries in response to industrialization. A substantial new introduction places this classic work in its context, charting the progress of the field since the original publication and celebrating Trefor M. Owen’s life and work. "This guide is certainly pocket-sized, but the depth and breadth of its contents are quite remarkable, and equal to what is often found in a much bulkier tome." 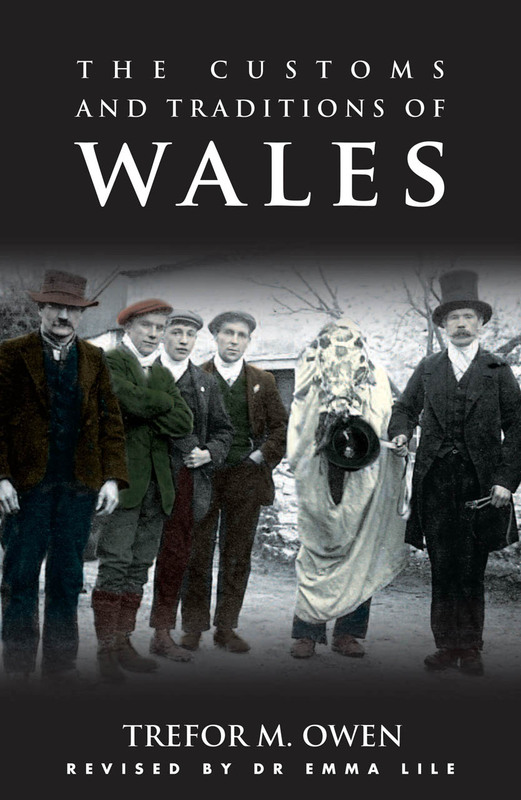 "Owen has admirably succeeded in introducing his reader to a wealth of information on the social history, customs and traditions of Wales."